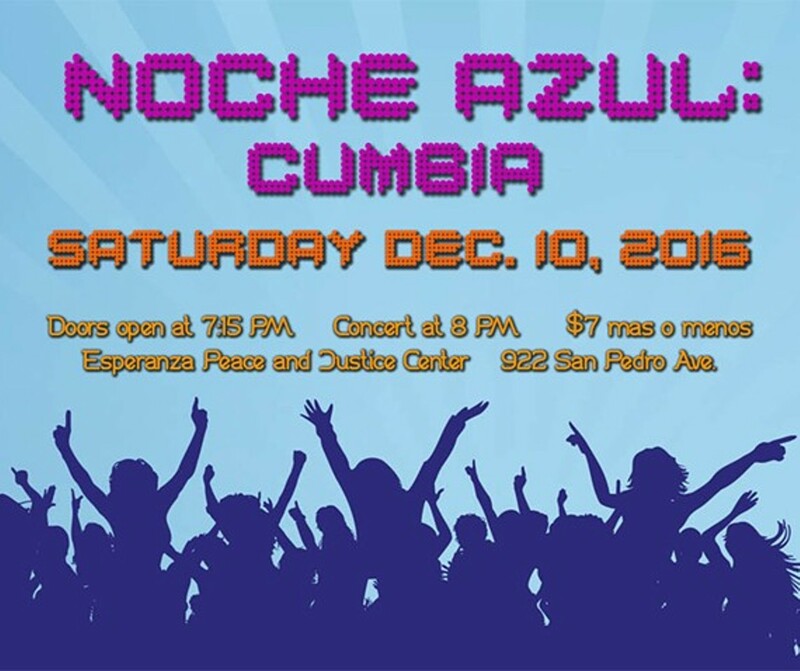 Join Esperanza Peace and Justice Center’s for their monthly Noche Azul concert series on December 10, 2016 at 8 PM. This month’s theme is Cumbias. Doors open at 7:15 PM. 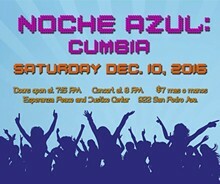 Tickets are $7 at the door but any more donations are appreciated. Seating is first-come first-served. Concessions will be available for purchase. Parking is available at San Antonio College in lots 21, 28, 29.